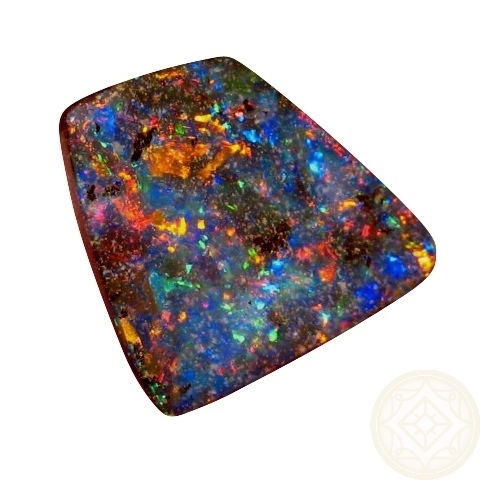 A Boulder Opal stone with extremely bright Red and Blue colors. 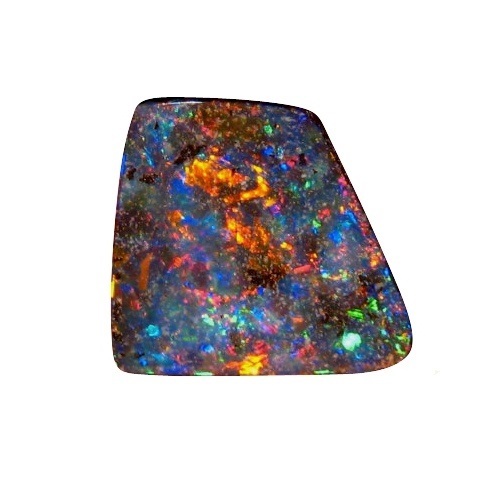 A Gem Boulder Opal stone from Winton, Australia that is irregular in shape and has been cut this way in order to retain the maximum play of color. 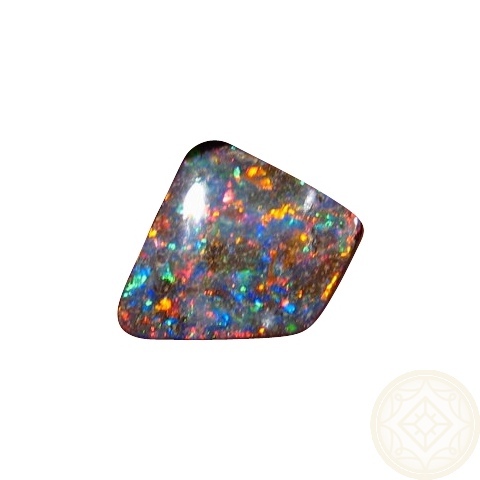 10.49 carats in weight and measuring 17 x 16 mm at the widest points, it would stand out as a pendant in Yellow Gold with the Red and Blue colors which are so bright, they will be seen from across a room. 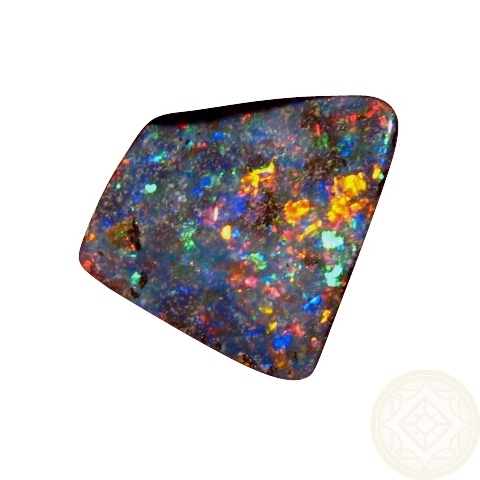 You will see the play of color with movement in the video which also gives you an idea of the size of the opal compared to your hand. 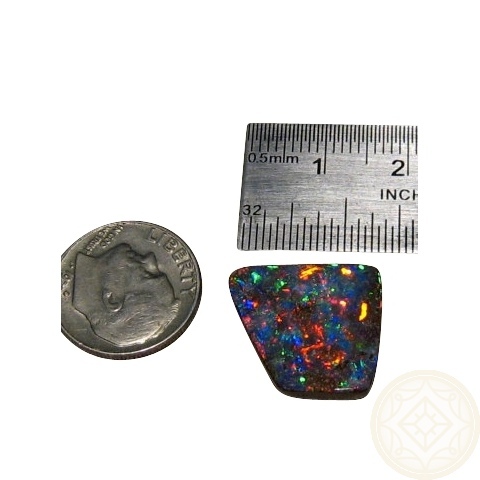 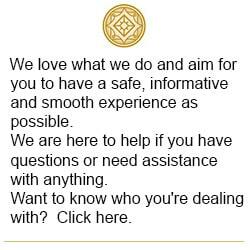 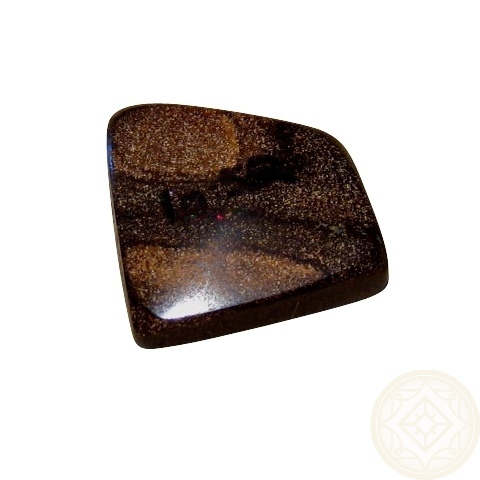 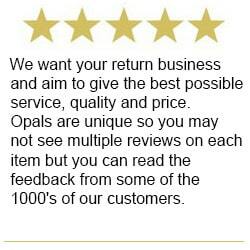 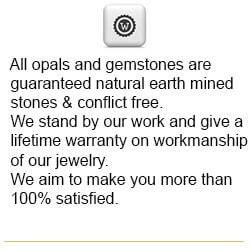 Inquire about having this set into a Custom Design piece of jewelry or add to your collection of Large Boulder Opals.